A small dormer with gable ends is very much the traditional approach to creating more headroom for a loft conversion though large flat roof structures are probably more common nowadays. However, a gable design does have some advantages over the flat roof variety, not the least of which is that they are much more architecturally attractive and visually appealing. But another advantage to using small gable style designs is that they are much cheaper and easier to build than a large flat roof type. A gable style dormer is sometimes used to create the extra room for a staircase even when the headroom in the existing loft is sufficient for a conversion. This is because the new stairs will still need extra room to be created if, as is usual, they are fitted above the existing flight of stairs that leads from the first floor down to the ground floor. 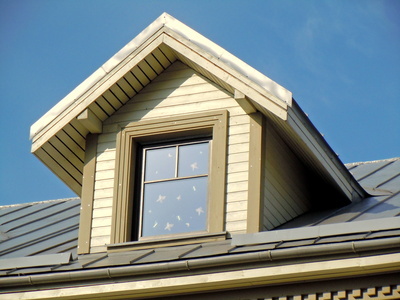 The main concern when installing any kind of dormer is to make sure that the existing roof is able to bear the weight and stress of the new structure. After cutting out the opening for the dormer the builder will first add more rafters to each side of the opening to strengthen the structure before building up the walls of the dormer with wooden studs. With a gable dormer of course the roof will be pitched which may necessitate some of the existing purlins to be removed. In this case further structural strengthening will need to be undertaken by the builder. Incidentally the walls of the dormer will need to be supported by steel beams and insulation, usually foil backed boards, will be used to lessen the risk of condensation. A breather membrane then forms the outer protection for the structure. Once the timber structure is in place lead flashings will be fitted to ensure that rain cannot penetrate the new dormer. 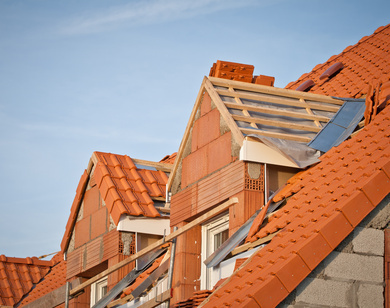 It is vital that the flashings are fitted correctly or the dormer will suffer from weather damage. Finally, of course, it must be remembered that any loft conversion that includes a dormer will be subject to building regulations approval.